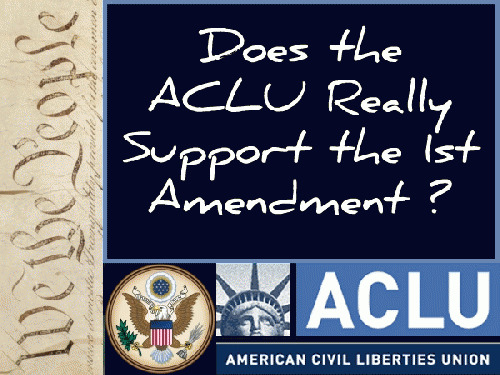 Does the ACLU Really Support the 1st Amendment? Thomas Jefferson began editing the New Testament while a sitting president and, later attempted to have his revision become the official U.S. government-endorsed version, ensuring it would be read in every public schoolhouse of his day. James Madison stated the 1st Amendment would aid in the spread of Christianity. 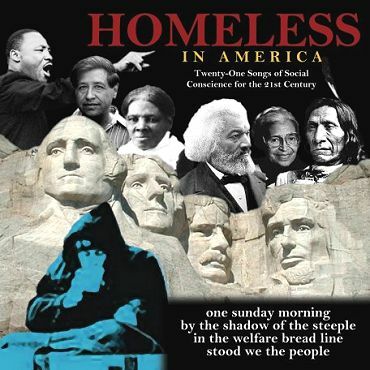 Benjamin Franklin openly complained the framers weren't seeking God's guidance enough while drafting the Constitution. Many today equate "religion" with belief in God, while it is far more likely, based on the subsequent letters of Jefferson, Adams and Madison, that in the 1st Amendment, the word "religion" refers to institutional religion. Regardless, as Jefferson later clearly stated, what is actually true about God, religion and science has no relevance to the protection of free expression. Whether modern science theories are accurate or poorly constructed fairy-tales is irrelevant to 1st Amendment protections. According to legitimate polls, in the United States over 50% of scientists, 70% of physicians and 80% of educators claim to believe in God. Even though virtually all historically prominent scientists and many living scientists believe the evidence demonstrates grand design, the ACLU refuses to protect their highly credentialed scientific conclusions. Instead, it demands that educators deliberately lie to our children by omission, leaving out the fact many major historical and living scientists and every signer of the Declaration agree the scientific evidence demonstrates design. Militant atheist Richard Dawkins agrees the "God question" is central to the scientific thought and inquiry of virtually every major scientist, including Charles Darwin. Yet, many today pretend God is not a question for science. To ignore what major scientists have publicly stated is to teach our children questioning what is true is not relevant to education. Many of those who endorse gross censorship of the known facts of history and science, are the same folks who are angry over the one-sidedness of conservative talk radio. Modern evolutionary theory does in fact address the "God question". Any theory claiming "randomness" or otherwise assuming the universe is a result of "natural" unguided processes, is implying to impressionable students there is no God. Quite obviously, nobody from our extremely narrow tiny window perspective could possibly know the universe or anything contained therein is a result of unguided processes. Why then, would we imply this to our children? Atheism has no more protection under the 1st Amendment than Catholicism. Is freedom of speech or science itself really being served when only a non-evidenced based superstitious assumption is taught in public schools? According to biographer Walter Isaacson, Albert Einstein said: "I have a deep feeling of faith, a deep religiosity that comes from my appreciation of the way the Lord made the universe." Every signer of the Declaration agreed evidence for God is beyond all rational dispute. Should we forbid Socrates, Plato, Aristotle, DaVinci, Newton, Copernicus, Galileo, Jefferson, Madison, Franklin, Paine, Darwin, Einstein and leading DNA expert Francis Collins, from teaching their scientific opinions in public schools? Does the ACLU really support the 1st Amendment? You decide.